Warcraft III is the most popular real-time strategy computer game, thrilling over 2.5 million North Americans and 10 million people worldwide everyday. The game creates an alternate universe, where players challenge each other in a mythically-charged online world of humans, orcs, the undead, knights, and elves. 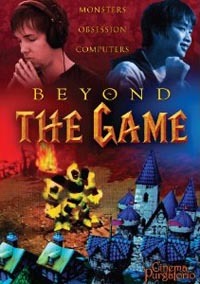 Beyond the Game, meet - in real life and in the game - two legendary players, known as Grubby and Sky. Acclaimed filmmaker Jos de Putter creates a genuinely touching portrait of these Kasparovs of a new generation, tracking them across real and virtual worlds to world championships.